The Avon Old Farms Hotel merges the spirit of historic New England and the character of a world-class hotel. Decorated with fine furnishings, antiques and original watercolors of local scenery, Avon Old Farms Hotel features 157 luxurious guest rooms, many with four-poster beds. Award-winning dining is available in Seasons Restaurant and English-style pub. The hotel is situated at the base of Avon Mountain in a 20-acre setting with manicured grounds, brick walkways and colorful gardens. Relax by the lovely outdoor pool or take a sauna in the exercise room. Area amenities include golfing, canoeing, tubing, skiing, museums, theater, antiquing, and specialty shopping. The hotel is the perfect coupling of charm, distinct architecture and well-manicured surroundings in an environment dedicated to customer service. The Omni New Haven at Yale offers sophisticated yet refined style in an atmosphere of luxurious comfort complemented with polished service. 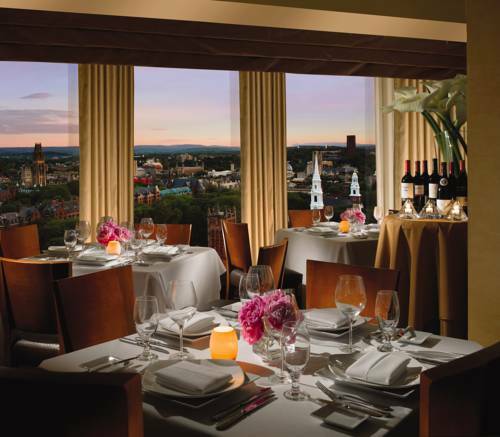 Situated in the heart of New Haven the hotel is just steps from the historic campus of Yale University and New Haven Town Green. 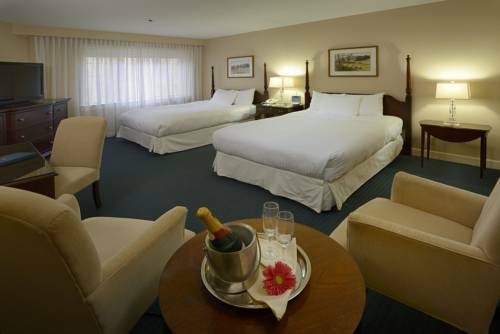 Beautifully appointed guest rooms feature plush bedding with fluffy duvets and offer views of either the historic sites on the Yale University campus or Long Island Sound. The hotel is within walking distance of a fine selection of theaters, shops, boutiques, and a variety of restaurants. A short drive away, guests can enjoy Connecticut's casinos, golfing, quaint sea side villages and outlet shopping. Located in the heart of Norwalk's corporate financial district, Four Points by Sheraton Norwalk is convenient to historic South Norwalk and just minutes away from the beautiful shoreline of the Long Island Sound and Sherwood Island. After a long day, retreat to one of our 127 beautifully appointed guest rooms where you'll receive complimentary wireless High Speed Internet Access. Then enjoy a delicious meal and cocktail in our newly renovated restaurant and lounge. Stunning architectural elements include and indoor 7-story waterfall, the world's largest and most spectacular planetarium dome, and the breathtaking Wombi Rock, a glowing crystal mountain made of imported stone. 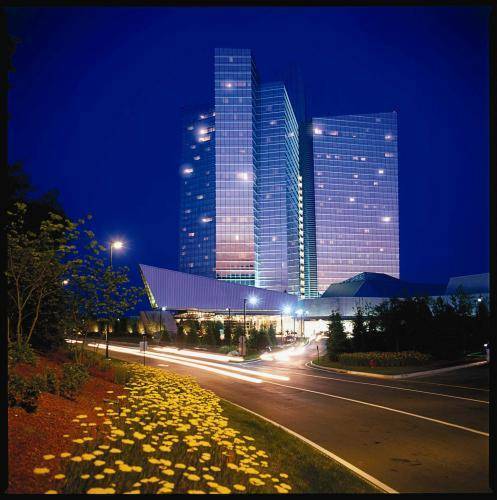 Situated on 240 acres along the Thames River in scenic southeastern Connecticut, Mohegan Sun is within easy access of New York, Boston, Hartford and Providence.